The technology transfer activities from universities into market currently are not commensurate with the potential and capacity of universities. Some main reasons are: First, technology transfer model in universities has not created incentives to attract staffs involved as well as professional organizations enough companion with scientists during technology transfer process from value creation, market to practical implementation. Second, very few individuals/units in university have conscious and initiative in registering the useful solutions and establishing the ownership to their brainchild. That leads to conflicts of interest between universities, scientists, and partners in the transfer process. Products of science and technology so cannot operate sustainably and effectively. Third, organizational model is lack of transparency in the use of public property during the implement process of the technology transfercontract, so leads the university into hard circumstance when has the inspection and supervision of the state management agencies. The School Board of Hanoi University of Science and Technology has seen these above limitations and thorough viewpoint, to improve technology transfer activities in the university, needs a science and technology business/service system operating effectively. Can you share something about business process formation currently applied in HUST. Does the system have differences with other universities, sir? After a long process understanding the experience of other countries with the advanced universities about the technology transfer model effectively, HUST leadership has decided to establish a unit which focuses on studying business system reform since July 2007. 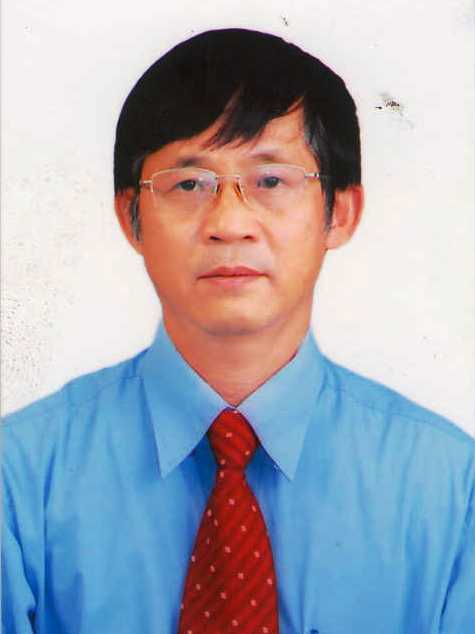 A new business system has officially applied in Hanoi University of Science and Technology in 2008. The business system of HUST has two basic different points with other systems which are applying in other universities: First, separates technology transfer activities and business production from the purely administrative of a public institute of science and technology. Second, makes the transfer of asset from HUST into production clear, creates a mechanism to scientists contribute into establish company. First of all, the University has bravely dissolved the old company (Bach Khoa Company), established BK-Holdings Company (manages capital and asset which HUST moves into) and then founded joint stock companies as well as Support System for Science and Technology, gradually formed business system based on corporate model. BK-Holdings currently has 2 one member limited companies, 4 joint stock companies, and 1 vocational collage. This form of the university has operated stability, the results has showed the increase in annual income, contributed into building up the development of university, and initially made a potential for scientists and research groups of the university. Although this business system is not new in the world, but it is only first applied in our country, solved the basic “difficulties” better than old model and ensured the cohesion and transparency in terms of organizational. Despite the difference of business kinds in the School, the relationships between them are very clear for all system, and the importance is that supports the contribution with high responsibility from scientists. So what does the mechanism link and create potential power the corporation between science groups and individual researcher with technology transfer activities, sir? BK-Holdings with the responsibility for supporting service and making technology transfer will assist and consult scientists and groups which have the technology transfer professionally in accordance with the Business Law. When having a technology needs to transfer (or maybe deploy incubation), with the functions are identified, BK-Holdings will support the establishment of business which associates with share contribution of scientists. For this implement, those businesses will make products, equipments with highest science and technology marked by scientists from the university to transfer outside. Please, could you tell me more about the relationship of investment, property between the university and BK-Holdings? How are the businesses under the system established? The Management Board of public property (President of HUST is chairman) performs the task to track the property (including tangible assets and intangible assets such as facilities, technology, and brand of the school, etc.) and the capital flow is switched from the University into BK-Holdings and vice versa. BK-Holdings with the mission “scapegoats” in the technology transfer activities, means that holds the “input” and “output” of technology and relationship with the partner, and also under the supervision of the school with the requirement to work effectively. With the function is a company which keeps the capital of school, in case if considers a technology can be transferred, BK-Holdings requires the related units draw up a proposal project to submit The Management Board of public property and then, Chairman of this Board will forward this project into school leadership (includes Trade Union, Party Committee and the Administrator) for consideration and decision. After considering and coming to a decision to invest, the procedures for establishing new business was conducted. In another form, a research institute of the University considers to establish a business (joint stock company) which commercializes the products of science and technology to develop the proposal and with the advice of BK-Holdings, institute will complete the project. After that, the project is transferred to the Chairman of the Public Property Council, then presented before the whole school leadership (includes Trade Unions, the Party Committee and Administrator) for approval. With the stock model (in there, the shares of university which BK- Holdings is held includes shares of institute and staff, and external partners) will help associating rights of the parties to technology transfer activity, making operation of businesses more powerful, contributing to the university to develop and increase property values that scientist has contributed. So about human resource, how do the University and business solve these problems, sir? About the principle, this is an opening model, BK-Holdings is a business which has 100% capital of the University, so members of the board are appointed by the University. BK-Holdings deputes representatives to take part in the board of units under the administration of BK-Holdings. The executive apparatus of those units are decided by their Board. They maybe are staffs of the University but also maybe qualified person in outside. In case of the staffs who work at the university are appointed into major management positions of businesses (Director and Deputy Director of businesses), the University has decided to dispatch them within a maximum period of 5 years. The payroll of staffs still belongs in the University, but their salary and income are paid by businesses. During that time, staffs can leave the management positions and return to the School. After finishing that time, if staffs would like to work at businesses, they have to move into businesses completely. Businesses of BK-Holdings system can use human resources who are staffs, students of the School to implement technology transfer contracts in forms of expertise lease contracts, consulting contracts, and teaching contracts. This is the preferred orientation of the whole system to associate training with scientific research and technology transfer and to increase income for staffs and students. From this first business model applied in a university in Vietnam, do you have any recommends for other universities which apply this model? Right, this is the first business model which applied in a University in Vietnam. Although it contributes into the revenue of HUST, ensures accordance with the legal framework, supports for researchers in solving problems related, technology transfer, but the implementing process has faced many difficulties and has needed to solve. First, universities in general and HUST in specific, is not fully autonomous, therefore, the investing capital is very limited. Proceeds from the transfer and capital source are still limited while always need more to invest; even for the management and use of public assets such as machinery and equipment are still inadequate (those machinery and equipment cannot be passed on to businesses when they are used in low frequency and needed to business systems, not to mention most of those machinery and equipment are degraded day by day, but no funds for maintenance). Second, after being given the autonomy, the Leader of University has to innovate deeply in management thinking, reduces administrative interference and makes the best conditions for the development of new business systems. Need a new mechanism to attract the resource of society to invest in business system of the School. We hope that, with the concern of facilitating mechanisms and policies of the Government, ministries and related agencies, as well as the perception and action of three sides: managers, entrepreneurs and researchers, business system in HUST will operate more efficiently in the future, to meet the expectations of society as well as its potential.